Quartz is a new generation digital news publication for business professionals, that explores the new global economy in which we find ourselves. Many of the articles focus on today’s emerging economies, and their growing influence in the world. The digital publication launched Quartz Africa a segment dedicated to telling Africa’s stories through the lens of innovation. Innovation through technology, business, healthcare, education and design and more is fuelling Africa’s development, the word central to discussions across the continent to find new ways to overcome the challenges faced. In 2015 Quartz introduced Quartz Africa Innovators, a list of over 30 ground-breaking African innovators recognised for their “big ideas, creative vision, entrepreneurship and homegrown, globally scalable problem-solving.” People who are not waiting around for solutions to come from the outside world, but instead whose work serves to mobilise not only their local communities, but spreading beyond Africa’s borders. 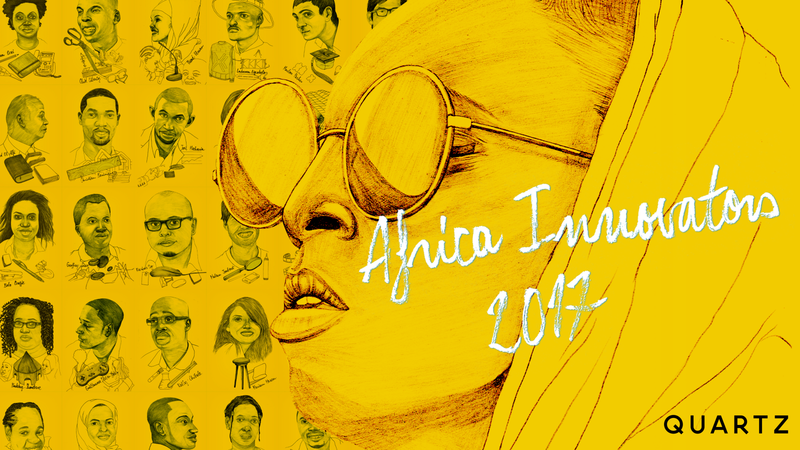 Now in its third year, the Quartz Africa Innovators 2017 list features men and women selected from 18 countries whose leadership in a wide range of fields is helping to develop the continent and in the process changing the way we view Africa.